What is Cushing’s disease and how is steroid produced by the body? Hyperadrenocorticism or ‘Cushing’s disease’ is caused by excessive production or administration of steroid. It can be classified as pituitary dependent, adrenal dependent, or iatrogenic. A brief overview of how steroid is produced in the body will help with the understanding of this disease. The pituitary gland is a small gland at the base of the brain that secretes a hormone called ACTH. ACTH causes the adrenal glands to secrete steroid hormone. There are two adrenal glands in animals which are located in the abdomen close to the left and right kidneys. The main steroids produced in response to ACTH secreted by the pituitary gland are glucocorticoids and these have widespread effects on the management of proteins and sugars by the body. What is the cause of Cushing’s disease? Fig 1: This is an MRI scan of part of the brain of a dog with pituitary dependent Cushing’s disease. 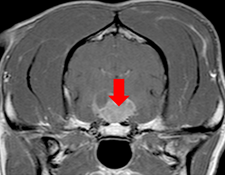 The red arrow is pointing at a large pituitary mass. Large masses are reasonably uncommon but can lead to neurological signs. Approximately 85% of dogs with Cushing’s disease have a very small, typically non-cancerous, growth of the pituitary gland that drives the excessive steroid production (via excessive ACTH production). These dogs have what is called ‘pituitary dependent hyperadrenocorticism’ (abbreviated to ‘PDH’). Approximately 75% of dogs with PDH weigh less than 20kg. Approximately 15% of dogs have a tumour on one of their adrenal glands that drives the excess steroid production. This is known as ‘adrenal dependent hyperadrenocorticism’ (abbreviated to ‘ADH’). Cancerous and non-cancerous growths occur with equal frequency. Approximately 50% of dogs with ADH weigh greater than 20kg. What are the signs of Cushing’s disease? 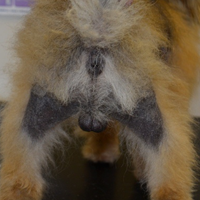 Fig 2: Hair loss in a dog with pituitary dependent Cushing’s disease. Image courtesy of Sarah Warren MRCVS. Dogs with Cushing’s disease are usually 6 years of age or older and many different breeds have been reported to be affected including Poodles, various Terrier breeds, Daschunds, Beagles and Labrador Retrievers. How is a diagnosis of Cushing’s disease made? The diagnosis of Cushing’s disease can sometimes be difficult, even with blood tests. Blood test results will be interpreted by your vet in light of the history and findings on examination. A blood test taken after the administration of a hormone or drug is necessary to help make the diagnosis. These tests are called the ‘ACTH stimulation test’ and the ‘low dose dexamethasone suppression test’. Normally only one test is necessary; however, occasionally both tests need to be performed. Urine tests are often performed as well. Fig 3: Blood samples are taken to help make a diagnosis of Cushing’s disease. Once a diagnosis of Cushing’s disease is made, it is useful to know whether the patient has pituitary dependent Cushing’s disease or adrenal dependent Cushing’s disease. The differentiation can be made with further blood testing or with an ultrasound scan of the abdomen. An ultrasound scan of the abdomen is sometimes required to help in achieving a diagnosis of Cushing’s disease. How are dogs with Cushing’s disease treated? 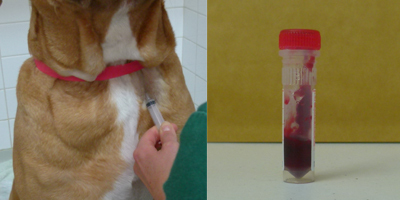 Fig 4: Dogs with pituitary dependent Cushing’s disease are treated with the drug ‘trilostane’. Dogs with confirmed pituitary dependent Cushing’s disease are managed with an oral drug called trilostane. Trilostane stops the production of steroid and leads to an improvement in clinical signs in most dogs. Trilostane is absorbed better if given with food. Blood testing is necessary after starting treatment to monitor the effect of the drug. Any blood test result will always be interpreted in combination with the clinical signs. The majority of dogs will show a good response to treatment but will require lifelong therapy. Occasionally the small growth on the pituitary gland can grow and cause neurological signs (fits, behaviour change). Scans of the brain are therefore sometimes performed. Surgical removal of the adrenal gland mass is the treatment of choice for patients with adrenal dependent Cushing’s disease. The outlook depends upon the degree of invasion of the growth into local blood vessels and analysis of the tumour under a microscope. Trilostane can be trialled in those patients for whom surgery is not an option. 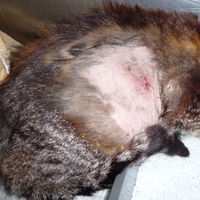 Fig 5: A cat with Cushing’s disease; the skin is so thin it has torn. Cushing’s disease is rare in cats. Image courtesy of Emily Mugford MRCVS. ‘Iatrogenic’ Cushing’s disease can be caused by the administration of steroid by mouth or topically. It tends to occur in patients on high dose, long term oral steroid (prednisolone) therapy. 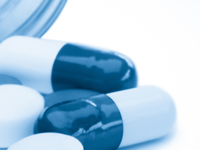 Treatment involves gradually stopping steroid therapy. Can Cushing’s disease occur in the cat? Cushing’s disease is uncommon in cats but can occur. The vast majority have pituitary dependent disease and diabetes mellitus (sugar diabetes) is present in approximately 80% of patients at the time of diagnosis. Cats with Cushing’s disease can have similar clinical signs to dogs and they are often strikingly affected with very thin and fragile skin. Medical therapy is problematic but trilostane has been beneficial in some cases. David is an American, European and Royal College of Veterinary Surgeons Specialist in Small Animal Internal Medicine. David is head of medicine at Anderson Moores Veterinary Specialists in Hampshire. This is a large, multi-specialist referral practice serving dogs and cats across the South of England.